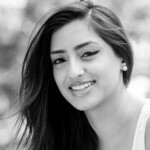 A Fellow of the Royal Geographical Society, Sarah Begum is an immersive investigative Anthropologist, Journalist and Explorer noted for her adventurous missions around the globe. It all began at the age of 21 when she travelled deep into the Amazon rainforest to live with the Huaorani tribe hunting with warriors and gathering with women. She was soon made Queen and married to a warrior to create an alliance and strengthen their message about protecting their lands from exploitation, all of which was captured in her film, ‘Amazon Souls’. It premiered at the Cannes Film Festival and was endorsed by Bear Grylls and various rainforest organisations; Sky Rainforest Rescue, Rainforest Alliance, Rainforest Foundation and Rainforest Concern. The President of Ecuador recognised Sarah’s efforts to raise awareness of deforestation and oil exploitation in Yasuni National Park of the Ecuadorian Amazon basin. Sarah has since been exploring the world, investigating the lives of tribes, gangs and unique cultures highlighting important stories and helping people through her work. Sarah embarked on an epic road trip through the USA, documenting struggles from various Native American nations touching on issues such as gambling, alcoholism and awareness of their culture in the modern era. She traversed the Atlas Mountains of Morocco where she was adopted by a Berber tribeswoman and became the first person ever to take her photo, which was then broadcast on Discovery Channel. In Poland, Sarah investigated the ruthless football hooligan gangs and the issues dividing them whilst representing Britain at the Krakow Film Festival. In the Sicilian valleys of Mount Etna, besides sleeping through an earthquake, Sarah helped transform a century old wine farm into an eco farm village. At the time she was investigating the mafia corruption against rural farmers and the anti-mafia movement that inspired the youth. One of her many humanitarian efforts included distributing aid to the Typhoon Haiyan survivors in the Philippines. She recorded their stories in a fundraising documentary which raised enough money to rebuild houses in the entire village she visited. Her curiosity of people and the planet never ceases to exceed her limits. A human rights, women’s rights and LGBTQ activist, Sarah engages in certain events to raise awareness of those without a voice. In 2014, Sarah teamed up with award-winning TV producer and adventurer, Russ Malkin to set up ‘The Adventuress Club ‘ to encourage and inspire women through adventure, launching a social event with sensational female speakers, with Sarah opening the night. Sarah has been speaking about her adventures to educate, inspire, inform and entertain people from around the world about the world.